Pack your style into one handy vessel and discover our women's backpacks and rucksacks collection. 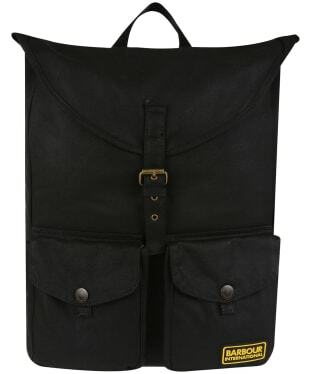 For ladies that want to explore - be it high peaks or low city streets; an easy to wear bag that can be simply thrown on in ease is a handy companion. These women’s designs are practical for daily the commute, handy for the gym and essential for weekends on the hills or scaling a mountain face. With a whole range of signature designers producing some of the most hardwearing and technically-advanced pieces, our selection has plenty to offer. Whether casual for daily needs or expertly packed full of pockets and detailing for an excursion - voluminous interiors make them infinitely useful. 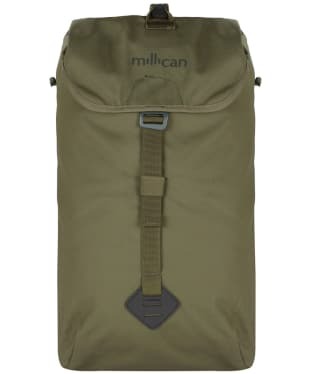 Explore Barbour's signature range of backpacks and rucksacks crafted from durable yet stylish fabrics, whilst Millican are the experts in providing essential detailing and a comfortable wear for long trips away and adventure weekends. 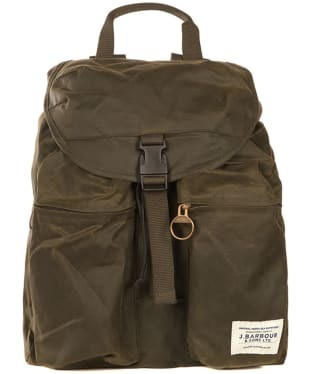 Pack up in style on those casual days this season with the Barbour Beauly Backpack, offering you a super lightweight matt nylon backpack you are sure to love! 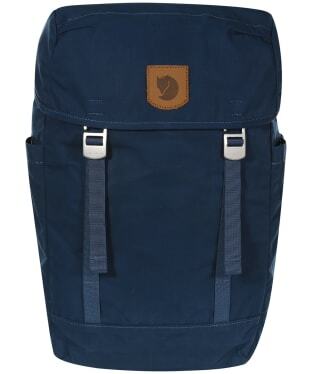 The webbed shoulder straps offer you added comfort whilst you are on the move. 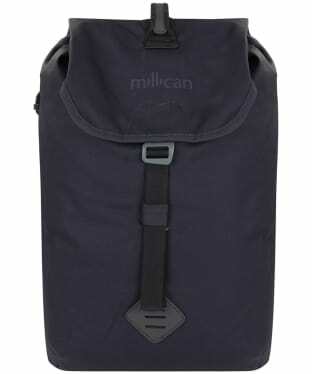 The zip closure and zipped outer pocket are perfect for keeping your essentials safe and secure. 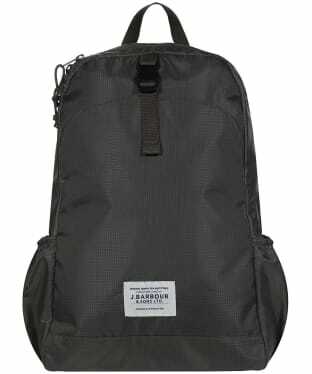 The Barbour Beauly packs away into an inner pocket so it can be easily stored away. 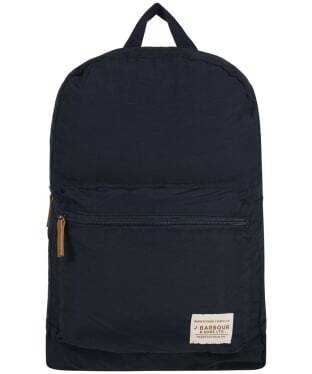 Perfect for carrying your personal items in style, the Barbour Archive Backpack features two large front zip pockets, an interior zip pocket, as well as a drawstring closure with a clip fastened hood to keep everything stored safely! 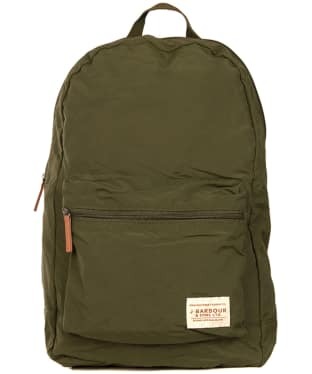 Featuring adjustable webbing shoulder straps to keep you comfortable and top grab handle, this backpack is finished with signature Barbour branding for that quality, on-trend feel. 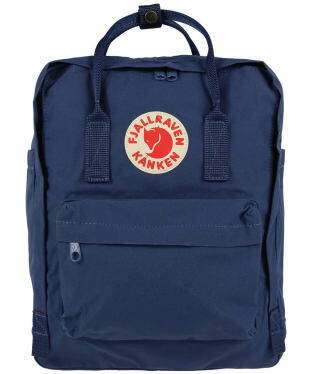 The bag that started it all, the iconic Fjallraven Kanken Backpack was originally designed as a solution for the back problems experienced by Swedish children when carrying their cumbersome backpacks to school. Based around the size of two A4 ring binders, the Kanken bag has since exploded onto the world stage and is as much at home on the back of a school child in Europe as it is on a commuter in Tokyo. 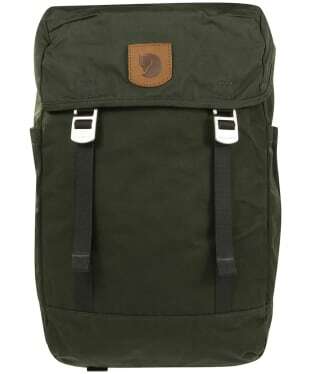 This popular Fjallraven backpack is made from a durable, water resistant Vinylon F fabric which means that these backpacks are not only timeless in style, but with proper care will last for years to come. Committed to creating hardwearing, sustainable pieces, the Fjallraven Kanken bag is manufactured with little to no waste per bag, meaning not only does the Kanken look great, but it feels all the better knowing it has a low carbon footprint. The main compartment of the Kanken bag is incredibly spacious, and the bag also features a convenient front zipped pocket for easy access of your essentials, and two side pockets which are ideal for maps, tickets or guide books. 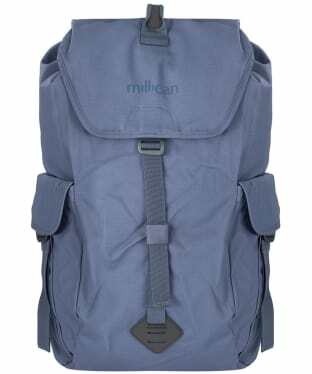 The Kanken can be carried in the conventional sense with the two webbed shoulder straps, or easily grabbed on the go by the handles at the top. If you need to take the weight off your feet, the Kanken offers a padded seat pad in the back of the bag which also acts as a spinal cushion for added support. 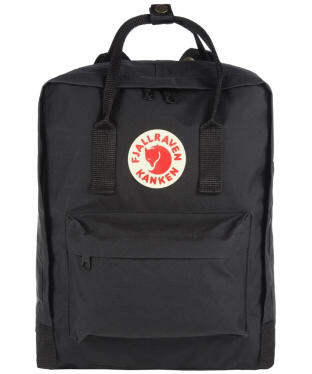 Perfect for school, commuting or travelling, the Fjallraven Kanken Backpack is the ideal rucksack for everyday use. 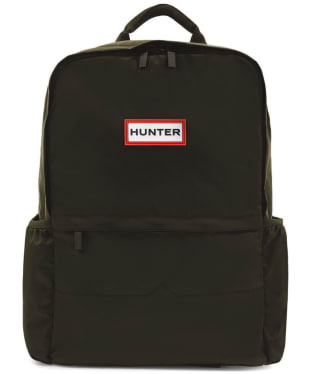 The Hunter Original Nylon Backpack is perfect for packing those daily essentials up in style, looking great season after season. 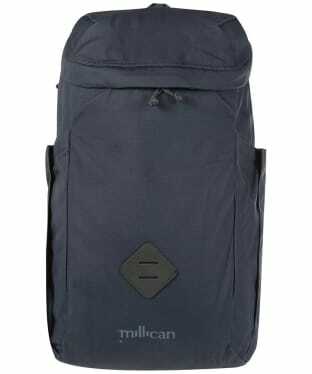 This stylish backpack has been crafted from a water resistant nylon twill to offer you a durable, yet stylish design you are sure to love! The water resistant finish is also perfect for tackling any unpredictable showers. 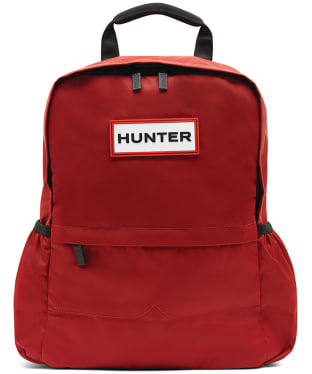 For an added touch of Hunter styling this backpack has been finished with the signature top clip buckle, the Hunter red, white and black zip and a Hunter Original logo. 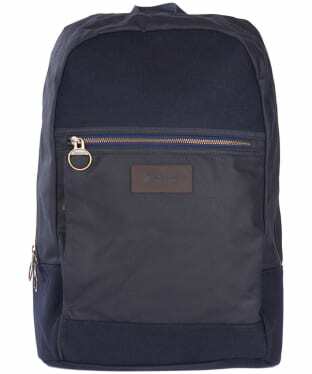 The zipped front pocket and two zipped side pockets means you can keep those daily essentials safe and close to hand. 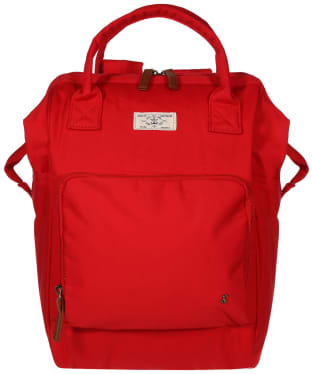 For added comfort and wearability this backpack has been finished with padded back straps. 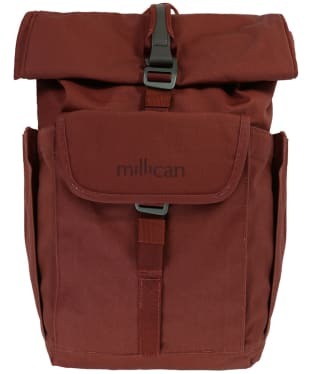 The men's Millican 'Dave' Rucksack has been inspired by Millican Dalton's own hand made rucksacks - "Handicraft, made by a year's user", as he used to advertise his packs. Taking inspiration from the classic 'A-shape' Bergen packs from the 50's and 60's and upgrading the bag to increase its functionality by using hard-wearing weatherproofed organic materials. 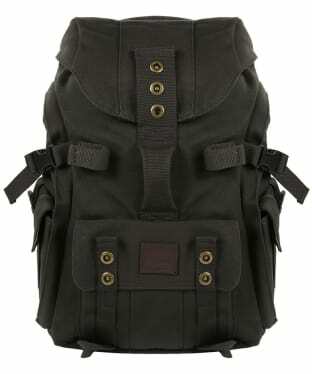 The result is an understated, multi-functional, weatherproof pack that can be used for outdoor hiking or general travel. 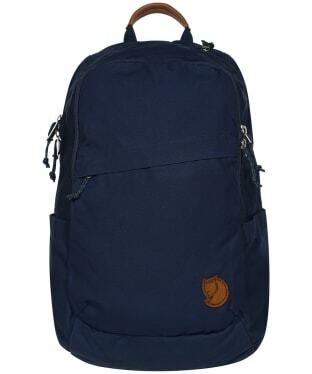 The Fjallraven Kanken No.2 Backpack is inspired by the iconic Kanken Backpack- Fjallraven's signature design. 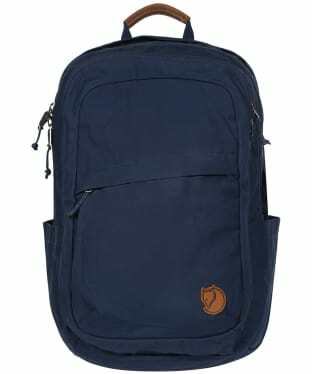 Developing from the original Kanken bag, the Kanken No.2 has been constructed from Fjallraven's innovative G-1000 fabric that is water, wind and dirt resistant. 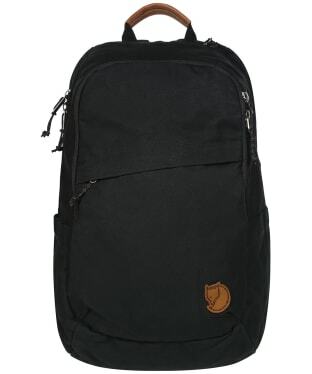 As with the original Kanken, the Kanken No.2 features a padded seat pad in the back of the bag which also acts as a spinal cushion for added support because, as Fjallraven suggests: “Straight backs are happy backs”. The large inner compartment is great for all of your everyday essentials; while the zipped outer pocket is the perfect place to stowaway important items that you need to have on hand such as tickets and glasses. 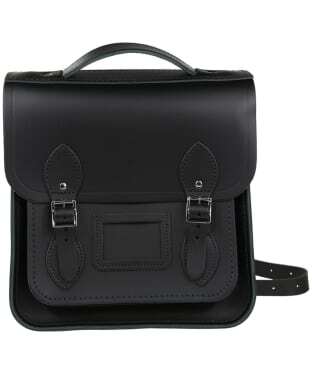 The bag can be easily worn as a backpack, or grabbed in a hurry by the leather trimmed handles to the top. Ideal for everyday use, the Kanken No.2 is a great investment if you're looking for a hardwearing back pack that will stand the test of time. 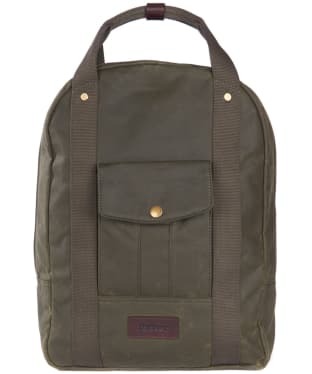 Whether you are commuting into the office or heading out for a walk in the country, the Barbour Kilburne Packaway Backpack folds into its zip pocket so it can be easily stored away when it is not needed. Constructed from a durable rip stop polyester canvas, this backpack is built to last and has a zip closure with a clip fastening lid to keep you personal essentials securely stored whilst you are out and about. The Milliacn Oli the Zip Pack 25L, is the perfect backpack solution and is ideal for commuting, cycling or walking around one of Britain's beautiful rural areas. 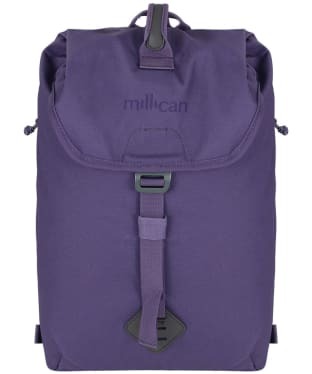 The Oli offers you a practical and stylish backpack that is lightweight, comfortable to wear and has pockets in all the right places, offering you plenty of room for all your essentials when you are out and about. The Oli features zip top opening for easy access to your contents, and features internal organisation pockets, external pockets and a hidden pocket for your keys and valuables. 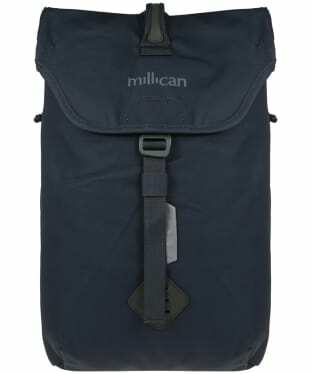 With room for a laptop up to 15”, the Oli has plenty of space for your essentials. 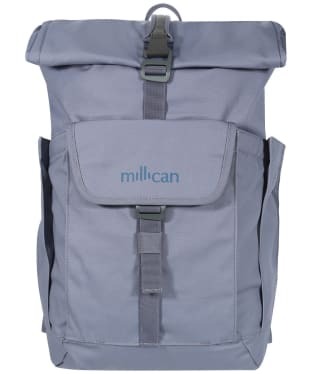 For your convenience the pack boasts fully adjustable and padded ergonomic shoulder straps for absolute comfort whilst on the move and features removable sternum and waist straps for additional support whilst you are hiking or cycling with a large amount of equipment and supplies. 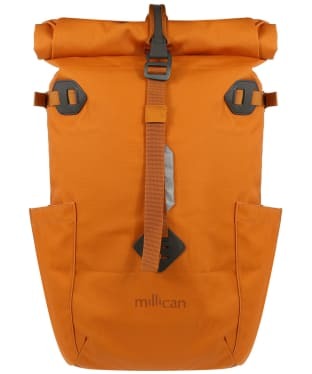 For additional safety the pack features a clip on light facility on the front panel, giving you visibility when your outdoor adventure extends into the darker hours of the day. 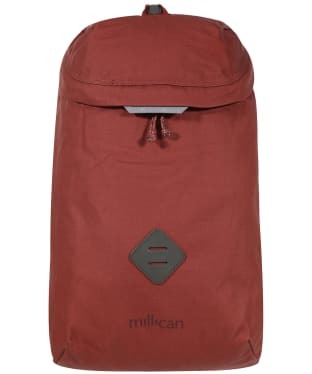 Finished off with leather trims and the Millican logo to the front, the Millican Oli the Zip Pack is the perfect solution to carrying all your outdoor essentials stylish, safe and securely wherever you may be heading this season. 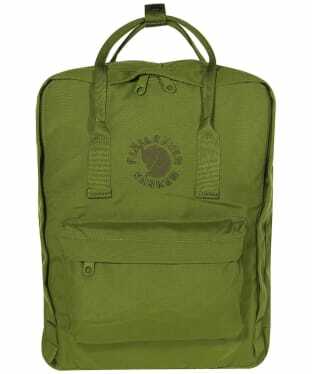 A special edition of Fjallraven's iconic Kanken backpack, the Re-Kanken has been made from 100% recycled polyester from eleven plastic bottles. 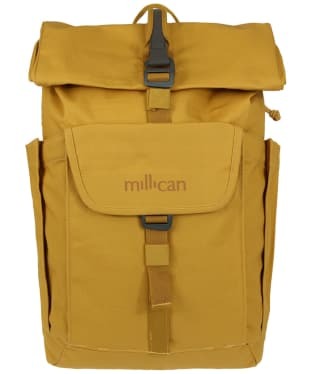 This environmentally friendly backpack, has all the same features as the original kanken, with a large zipped main compartment making it easy to pack and unpack, and two flat side pockets and a front zipped pocket for keeping all your essentials safe and secure. 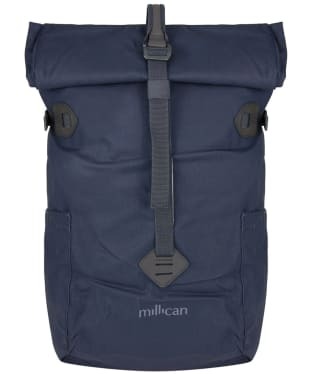 With a 16L capacity this backpack is perfect for travelling, whether heading to school, work or further afield and features adjustable shoulder straps and a padded back to ensure you carry all your items in comfort. 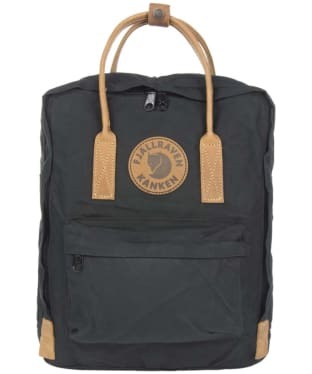 Finished off with a large embroidered Fjallraven Kanken logo to the front adds that final stamp of style and quality and completes the perfect backpack ready to carry life's essentials wherever you are heading. 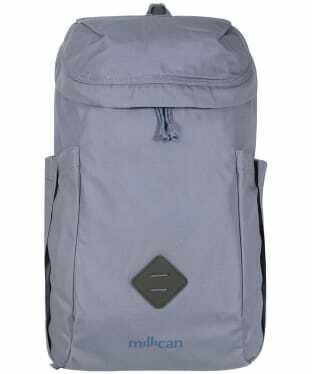 The Fjallraven Raven 28L Backpack is a simple and durable backpack that is perfect for everyday travelling or commuting. Made from G-1000® reinforced polyester and cotton mix to keep the contents dry and protected from whatever nature may throw at you. 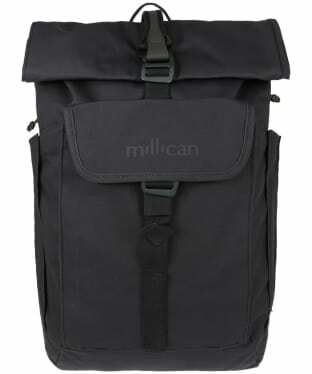 Featuring a spacious main compartment with a zippered opening, the backpack has plenty of room for your essential items and a laptop up to 15 inches. 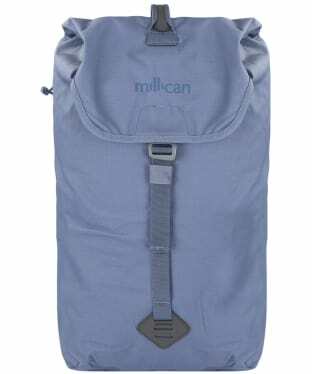 Also boasting an inside zipped pocket, a front zipped compartment and two side pockets, the backpack has space to carry and organise all those little things you need to keep close to hand. 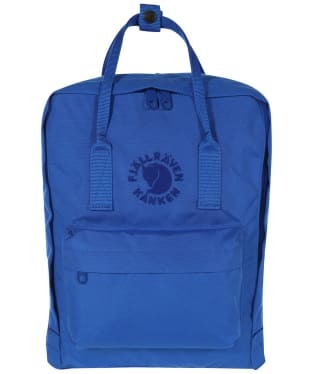 Padded shoulder straps and a back panel ensure the backpack is comfortable to carry and it is finished off with the Fjallraven logo to the lower front of the backpack which adds that final stamp of style and seal of quality. 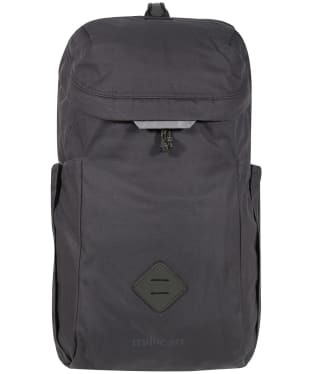 Whether you are on the long commute to work or love getting out into the great outdoors, the Fjallraven Greenland Top Backpack is ideal and means nothing need be left behind. 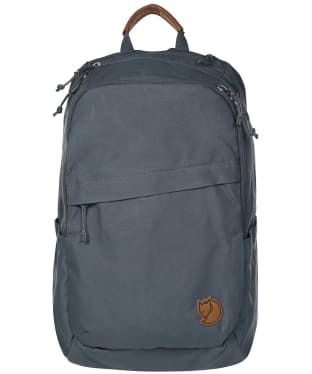 The lightweight yet robust construction is great for hiking or travelling and has been made using Fjallraven's G-1000 technology to protect the bag and contents from wind, rain or dirt. 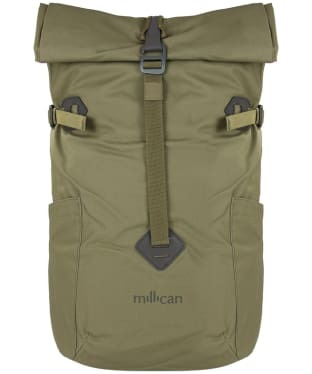 The roomy main compartment has plenty of space for your outdoor or work essentials and for extra security features a secure metal hook closure. 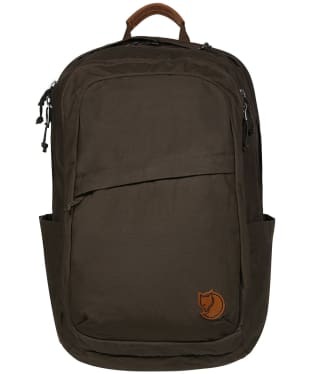 Also boasting a large zipped front pocket and two side pockets the backpack has plenty of space for whatever you need to take on your adventure, and if you are heading into the office the backpack has an inside sleeve for a laptop up to 15”. 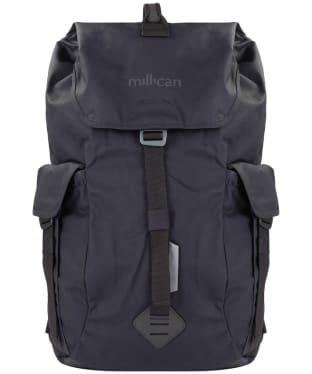 Built with the user in mind, the backpack has adjustable and comfortable shoulder straps and a supportive back panel to alleviate stress in these areas. 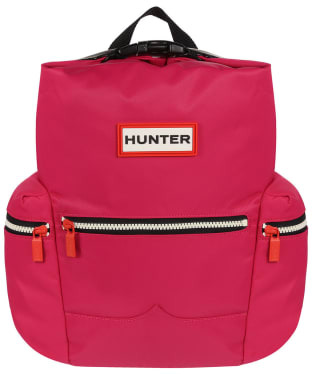 Stay on-trend no matter what the weather with the Hunter Original Nylon Backpack! 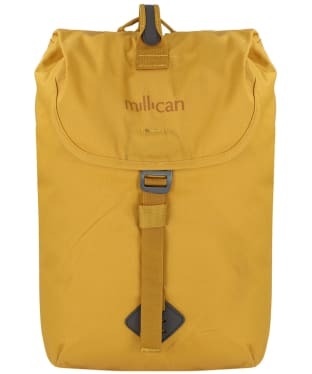 Crafted from a durable water resistant outer with a water resistant lining to keep those unpredictable showers at bay, this backpack is perfect for whether you are heading into town or enjoying a day out in the country! 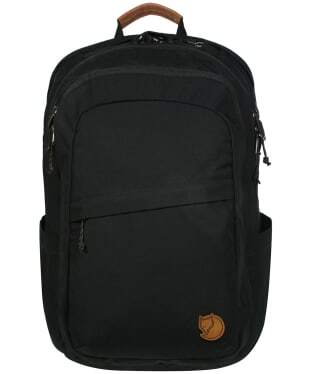 Featuring a large zip fasten main compartment as well as two side pockets and an internal padded sleeve pocket, there is ample space to safely store all of your personal belongings with ease. 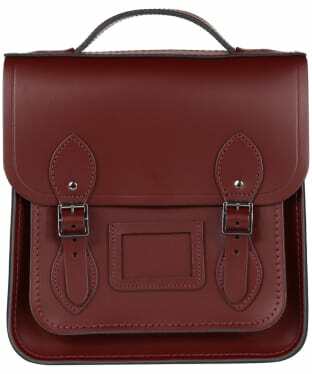 To keep you comfortable whilst you are out and about, this backpack has padded adjustable shoulder straps. 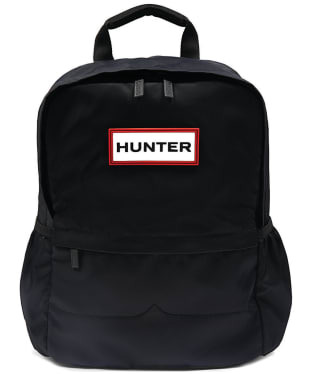 Finished with signature Hunter Original branding for that added mark of quality and style, we think that this backpack is an essential for any stylish wardrobe! 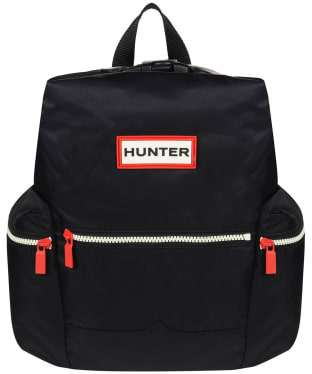 Carry your personal items in style with the Hunter Original Small Nylon Backpack! Whether you are heading to your favourite festival or simply commuting into the office, this back pack is ideal, with the adjustable, padded shoulder straps sure to keep you comfortable whilst you carry the backpack. 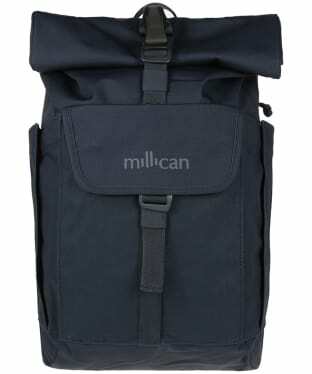 For your added convenience, both the outer and the lining of the backpack are resistant, to keep the wet weather at bay! With a large main compartment as well as an internal padded sleeve pocket, there is ample space for everything you need, with the full zip fasten sure to keep every safely stored. This on-trend backpack is finished with signature Hunter branding for that added mark of quality and style. Pack up in style with the Hunter Original Nylon Mini Backpack, offering you a stylish backpack which will look great season after season. 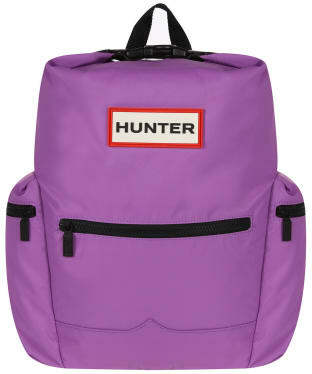 This mini backpack has been crafted from nylon to offer you a stylish yet durable design you are sure to love! 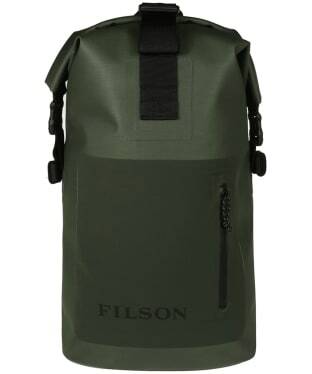 This stylish bag also offers you added convenience with its water resistant finish and water resistant zip closure, perfect for tackling any unpredictable showers. 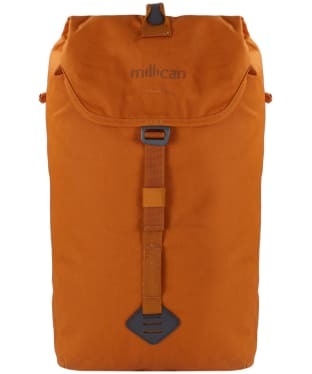 This bag features an array of pockets which included a zipped front pocket, two zipped side pockets and an internal pocket, perfect for keeping all your daily essentials organised. For an added mark of quality and style this backpack has been finish with Hunter Original branding.